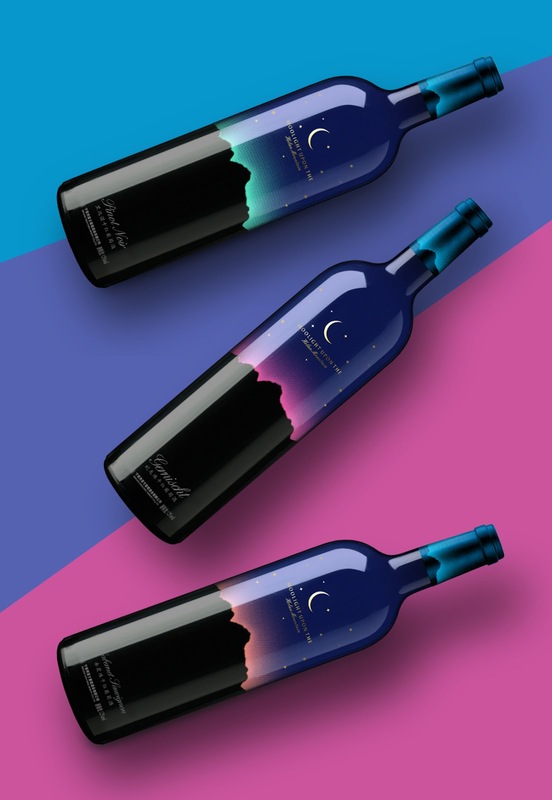 In Ningxia area of Western China , because of the unique climatic conditions and soil, the Helan Mountains east become China's emerging wine brewing base . The quality of this area is generally superior to other regions of China. 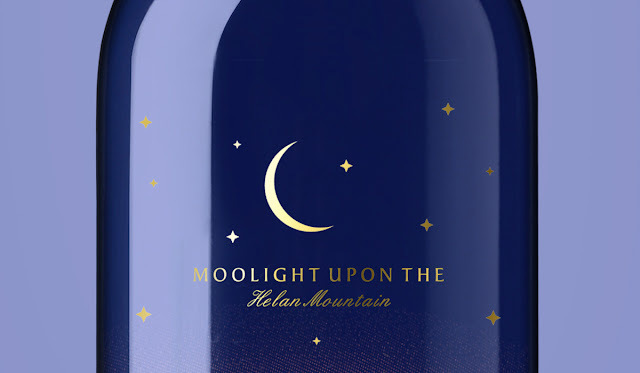 “MOOLIGHT UP ON THE Helan Mountain” is one of excellent brand in this area. 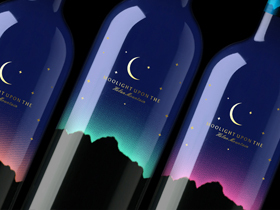 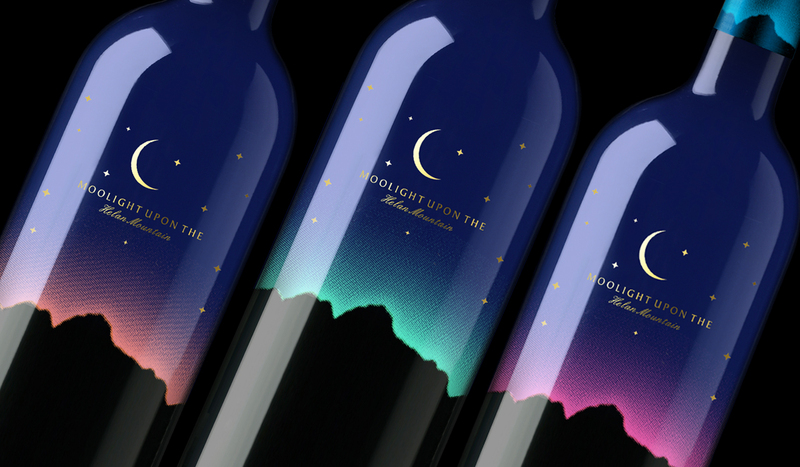 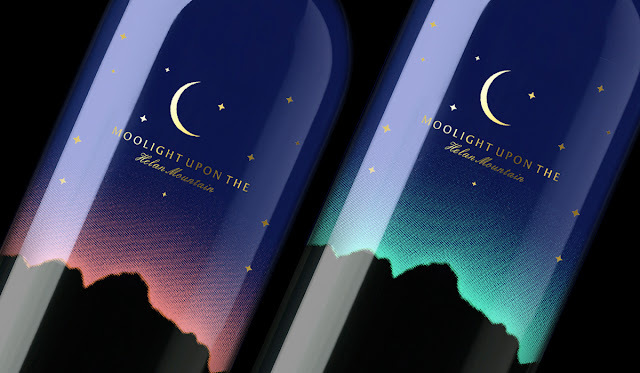 When we design this label, we hope to show mood of the moon climb up the Helan Mountains. 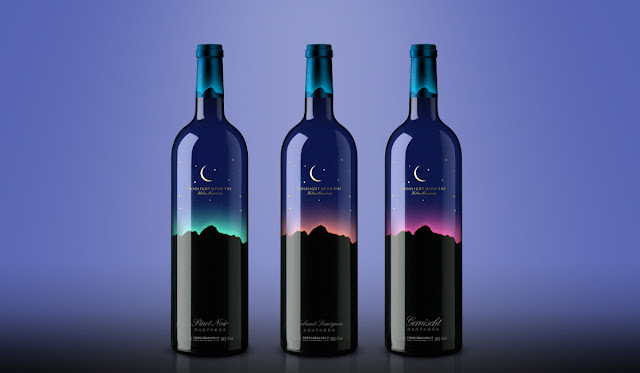 It’s simple but intriguing . 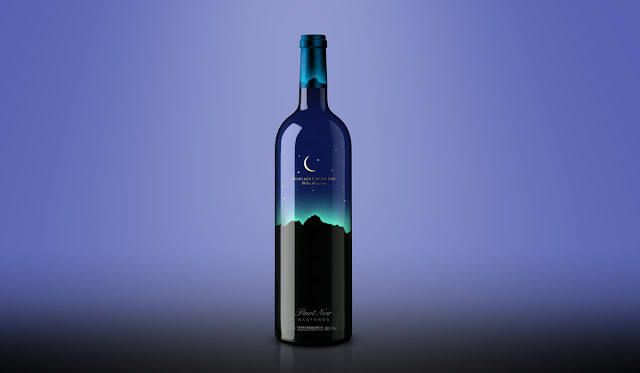 The upper part of the deep blue is the sky , the Golden Crescent and star hanging above it . 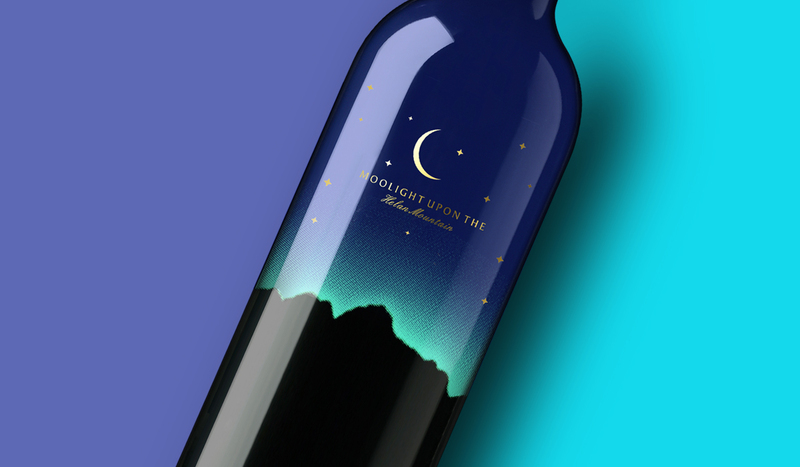 The bottom half of the black is the shape of the Helan mountain . The middle is a halo, color changes with different grape varieties . In order to show the height of the Helan Mountain , we have designed some information in the bottom of the bottle.